Buying a car stereo isn’t what it used to be. There was a time when you just had to make sure there was a hole for the tape cassette to go in. A few years pass by and it’s CD slots that you need. Now, the idea of relying on a physical storage device to play your media for you is probably unthinkable to most people born past the millennium. These days everything is streamed, wireless, in the cloud, on demand… And so modern stereos have been forced to adapt to the needs of the market. This has resulted in stereo devices that are BlueTooth compatible, and can transmit and receive audio, video and even voice commands from your connected smartphone. Many modern radios have become centralized media hubs all of their own. Many can display crystal clear video in 1080p resolution, while simultaneously being hooked up to iTunes and taking calls for you without your hands or eyes ever having to leave the road. If that sounds like too much, don’t worry, because this review contains the sleek, simple models as well as the more fancy ones. There’s plenty of radios here that do what’s expected of them, while maybe throwing in a few extra features on the side. 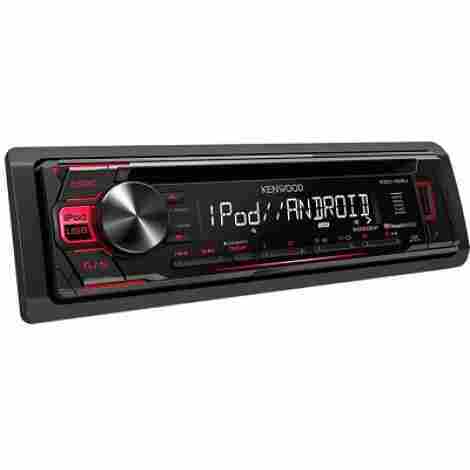 Whether you’re after a single din or double din stereo; whether you want to hook up your iOS or Android device; whether you want to stream music or video; whether you want digital radio or FM/AM, there are radios on this list for you. So read on and take advantage of this handy review, where we break down the what’s what and who’s who of the car stereo market; allowing you to save time on research and make sure you opt for the right purchase. This stereo comes with a 3-way active crossover network which isolates low, mid and high range frequencies and improves their clarity. It is fully BlueTooth and Android compatible, and can be used to stream music from Pandora, or take hands-free calls on the road. The built in microphone is clear and crisp, and the transmission of audio is enough to satisfy even the most picky of audiophiles. While the stereo isn’t set up to be a storage device, it still offers the chance to keep your music stored locally by including a slot for your micro SD card. The BlueTooth in this device can connect to any other BlueTooth device you throw at it, and is strong enough to ably carry music and calls without any distortion. This is one of the more expensive stereos on this list, but when you plug it in to your car, you’ll realise where that money went. This is a premium stereo with a premium price tag - but it justifies it all the way. 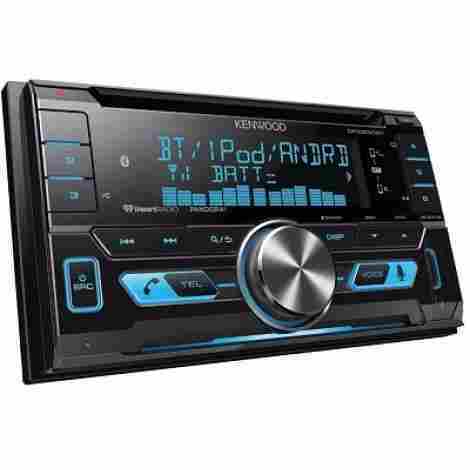 This model from Kenwood comes with FLAC compatibility and can be accessed with both iOS and Android devices. 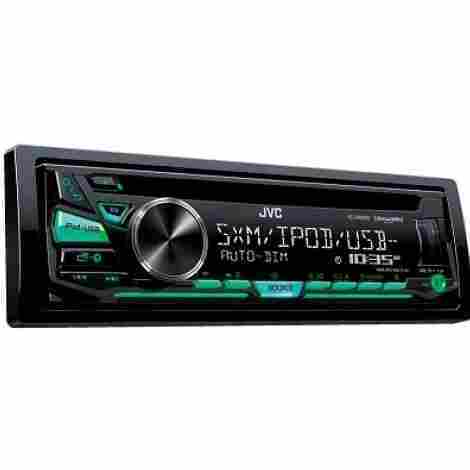 Comes with both auxiliary and USB inputs at the front, and features Am/FM radio with 50W x 4 amplifier, and 3-band equalizer for sound output customization. Also features sub-out terminals which cater for the connection of subwoofer channels. FLAC - Free Lossless Audio Codec - enables high-quality audio tracks to be played at their maximum capacity; without compressing or cutting segments of the music. If you’re leaving your car in a sketchy or unknown area, it’s useful to be able to remove the faceplate and keep it hidden; thus removing it from the view of possible burglars. This radio comes in at a very reasonable price compared to other items on this list. It doesn’t feature all the bells and whistles of other models, but it offers great value for the features it provides. This nifty little radio does the basics exceedingly well. It comes with very crisp and clear sound, has a sleek, red-lit display, and comes with AUX input and single-CD compatibility. This radio doesn’t throw in excessive features just for the sake of it, but rather concentrates on excellent sound transmission, with MP3 and WMA support. Also features Sound Retriever technology which plays back compressed audio files with maximum clarity. Pioneer utilize their Sound Retriever technology to provide 20 kHz playback on compressed audio files stored on your iPhone, iPod, CD’s, or any other compatible format. Customize your sound with the extensive equalizer options. Additionally, you can easily hook up your subwoofers to the dedicated terminal. This model offers great sound mixing options. This radio falls around the mid range in terms of price. It’s dedication to sound quality means it sacrifices other features, but still manages to present an excellent value option for prospective buyers. This radio supports several types of media playback, such as various CD formats, MP3’s, WMA’s and even DVDs. This model also comes with a remote control included, and even a free set of earphones for use as a hands-free kit. The radio ships with SiriusXM compatibility, and has slots for USB devices and iPods on the front. You won’t be able to watch DVDs on the LED display, however if you connect a suitable device such as an iPad, you can use the radio to play movies in the car. This is a useful feature which adds to the convenience factor of the product. A free wireless remote and set of earphones may not be the deciding factor, but it’s a nice touch. This product falls around the medium price range compared to other reviewed items. It’s a reliable radio that has its own little collection of unique features. Well worth the price. This 2-DIN car radio comes BlueTooth ready, can be connected to Android and iOS devices via USB ports, comes with Pandora and iHeart radio features, and is even SiriusXM ready. The inputs on the front are in USB and AUX form. Audio files in WMA, MP3 and AAC formats are compatible, while the radio also comes with a handy pair of earphones in the box. Yes, you’ll still have to purchase the Sirius package and receiver, but you won’t need to buy a new radio since this one is ready to be hooked up to Sirius immediately. All of our devices are interconnected now, so it’s fortunate that this model from Kenwood allows for connections with both of the major smartphone operating systems via a USB port. Kenwood are a named brand and their high-end radios aren’t for the budget buyer. With that said, even at its current price it remains a great long term investment which will make its value felt immediately. This radio has many features found in higher ranked, costlier items, while shipping at a reduced cost. Features BlueTooth connectivity, Pandora and SiriusXm compatibility, and can even be hooked up to iTunes where you can rate music at the touch of a button while you drive. A multi-functional car radio with enough features to satisfy just about anybody. The radio allows for connectivity to Pandora Internet Radio, allowing you to stream from the internet via your smartphone. A quick tap of the ‘like’ button allows you to rate music without taking both hands off the wheel. The BlueTooth feature integrated into the radio is accompanied by a built-in microphone which allows you to conduct hands free calls with ease. A great feature which also adds to safety. This radio ticks all the boxes and matches many of the features of items ranked higher up in this review. The difference is it comes at a generously reduced price in comparison. A great value product. This radio fulfills many useful functions while also benefiting from a sleek design and a rather useful wireless remote and free earphones. 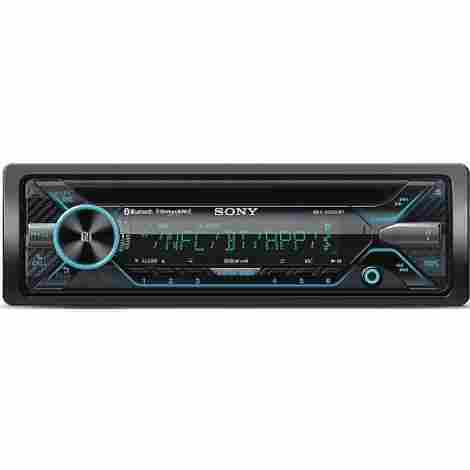 The 6700BT is a high-end model which incorporates many of the features you’d expect from such a radio, like BlueTooth compatibility, SiriusXM, iTunes and Pandora functionality, as well as multiple audio-tuning options. An excellent radio that competes with the big boys. This item comes with a 4-channel amplifier which reproduces your audio tracks at an increased volume, without losing any of the balance or subtlety of the original recording. Many will find no use for the wireless remote control, especially since the device is fitted with BlueTooth. But it’s nice to know these features are there. And the earphones, while not essential, are a useful addition. This falls slightly in the upper price range compared to other reviewed radios, however it works to justify its price by providing a range of useful and essential features. This model from Alpine comes with the advanced BlueTooth option of BT Plus - a boosted BlueTooth signal that’s stronger than standard. It has support for iPhone cables and a USB port, while it is capable of reading CD’s, MP3’s and WMA’s. This radio also comes with a built-in microphone and has two subwoofer sockets, one at the front and one at the back. 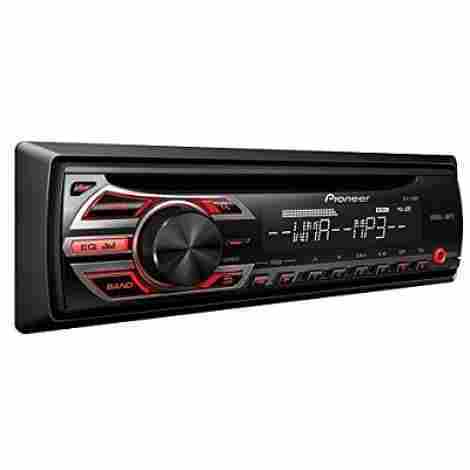 This may not be deciding factor for the average buyer, but if you feel the need to hook up your sound system with extra base then then your needs are catered to with this radio. Alpine have a solid history of producing good radios behind them, and this one is no different. The construction is tight and secure, the interface is simple, and the buttons are large and clear. This one is definitely a little more expensive than others reviewed here, but it backs up its price with the kind of useful features you’d expect from a modern BlueTooth radio. This great little model from Sony is fully BlueTooth compatible with hands-free calls and music streaming. It is geared up to be used with SiriusXM (must buy subscription first), and its two-zone illumination creates a sleek lighting effect that looks good in any car. The dual Bluetooth feature allows you to connect to two BlueTooth devices at once. Control the radio in an ‘eyes-free’ manner by using voice commands to tell Siri what you want. This way you don’t need to take your eyes off the road for a second. Most radios allow you to connect one device at a time, and that’s usually good enough. But if you absolutely must have two devices connected, then this item takes care of that need. Sony do command a higher price than some lesser known brands, but they aren’t the most expensive on this list by any means. A slightly above average price shouldn’t put too many off; this is a brilliant radio that provides great value. This radio comes with a 7-inch screen which is capable of 1080p resolution; it has camera and video functions which can be hooked up to parking indicators; and its universal BlueTooth ability lets it connect with just about any device. Also comes with a wireless remote control, or can simply be controlled via the touch-screen. Also comes with an informative instruction manual. The screen is unlike most car radios, in that it’s more like an iPad. This radio acts as a multimedia platform as opposed to a mere radio, and is capable of displaying video in 1080p resolution. This device can play a huge variety of different formats: MP3/ACC/OGG/WMA/WAV audio formats, while also being able to handle video formats of: VOB/DIVX/MP4/AVI/ASF/RM/RMVB. This device may surprise many with its price, as it can be got for a very reasonable price considering what it brings to the table. It has features that no other radio on this list has, and stands out as a unique, high value choice. As you can see, buying a radio isn’t quite as simple as it used to be. There was a time when all you had to do was make sure it would play your tapes and CD’s, but those days are long gone. Now, with the invention of smart and wireless technology, you have a range of options to choose from, and a lot of hard-nosed research to be done before can choose the right one. Most stereos on this list are BlueTooth compatible, and can be used for hands-free calls as well as easy music streaming. Many items come with handy wireless remote controls, while some newer radios utilize touch-screen displays. Ultimately, all radios can be connected to steering-wheel controls if you choose, however additional wiring may have to be purchased depending on the radio you have picked. Whether you’re looking for a multimedia hub for your car, or simply a solid, reliable CD player that doesn’t come with any frills, there are more than enough options on this list to choose from – with enough variety to please even the pickiest of consumers. Buying a stereo has become like choosing a media hub for your car; and modern stereos are expected to do so much more than merely pipe music in through the airwaves. However, that doesn’t mean it needs to be hard. We’ve gone through the most important aspects of car stereo technology, and written this helpful criteria guide to show you which features we look out for, and why they’re rated the best. The acronym ‘DIN’ stands for Deutsches Institut für Normung, and is the name of the German organization which originally came up with the modern stereo format, before it was eventually adopted internationally. It’s actually really simple – it’s all about size, and you can identify them with a glance. A single DIN stereo is, by standards, 7 x 2 inches (180 x 50 mm). A double DIN stereo is 7 x 4 inches (180 x 100 mm). The only thing stopping you from buying the double DIN is the native size of your car’s DIN head unit – that’s the space in the middle of your dashboard where your radio goes. For single DIN car owners, you only have the choice of buying a single DIN stereo. There are no adapters capable of reliably bridging the gap between the two, and it’s unlikely there will be. For double DIN car owners, you have the choice of installing either the single or the double – although if you do choose to install a single DIN stereo then you’ll need to buy the appropriate bracket which affixes the stereo to the head unit. The upside of installing a single stereo in a double head unit is that you have space for another single DIN sized device, such as a graphic equalizer. Ultimately, your choice of DIN standards size will depend on your car setup, although many double DIN car owners choose to ‘downsize’ to a single DIN stereo unit because they find the large 7 x 4 inch screen to simply be too much. Double DIN radios are growing in popularity, but are still seen as something of an unnecessary novelty by many. In BlueTooth we have the modern standard which is used across the vast majority of stereos. It’s not hard to see why – BlueTooth is simple, effective and doesn’t come with monthly subscription charges, unlike your 4G plan with your mobile provider. BlueTooth is a short range network mode of communication, where data is carried from device to device via short wavelength UHF radio waves (ranging from 2.4 – 2.485 in the ISM band). Many modern stereo manufacturers don’t even include CD players in their units these days, and instead opt to go all in with BlueTooth. There’s nothing wrong with that, unless you still enjoy playing CD’s. But some BlueTooth stereos function better than others, so if you are going all in with BlueTooth, try and find one that’s been reliably reviewed and rated by buying customers. Pandora internet radio is a free music streaming service that pipes music directly into your car, and allows you to rate, customize and manage your music, in much a similar way to competitors like Spotify and iTunes. This is one of the reasons why many stereos are coming without CD compatibility – there’s simply more music to be found and easily accessed via streaming music via BlueTooth or the internet. All manufacturers who support Pandora functionality proudly display that fact in their marketing and ad space, so if this is a deal breaker for you you’ll find it easy to pick out the right stereo. SiriusXM is a digital satellite radio service which requires a monthly/yearly subscription and is only compatible with certain stereos. SiriusXM subscribers often need to have a special antenna fitted on to their car, in order to receive radio transmissions from the satellites. 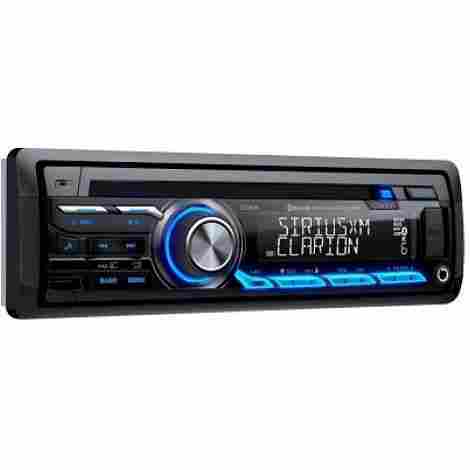 Most stereos on our list are compatible with SiriusXM. SiriusXM certainly isn’t a necessity, however it is a nice function to have for those who are on the road constantly and want a bit more variety than typical AM/FM radio provides. Most stereos come with iPhone/iOS compatibility as standard, and can be accessed via your iPhone charger cable or similar USB device. Many stereo manufacturers design their products to dovetail with Apple smartphone products – not only in their technical compatibility, but also in their design and layout. With some stereos, you could connect your iPhone via Bluetooth and use Siri-voice commands to do everything for you, without shifting your concentration from the road. Android compatibility is quickly becoming a common feature among the best stereos on the market, although support for the mobile operating system is not widespread just yet. Some stereos on this list do have Android support, but several do not. Be sure to check if your radio supports Android phones before you buy – most retailers will make sure it’s advertised clearly, so you shouldn’t have a hard time picking the right one out. We mentioned Siri earlier, and many radios are built specifically with her soothing tones in mind. But if your specific mobile app supports it, you could conceivably hook up any voice-bot service to the radio via BlueTooth. Again, many of these services will require a specific app to be downloaded separately. FLAC is an acronym for Free Lossless Audio Codec, and refers to a type of audio format which is similar to MP3, but of much higher quality. FLAC files can be compressed and uncompressed without losing any depth, quality or clarity. This probably sounds like it should be standard technology, right? But not many people realise that they’ve only been listening to parts of their music for most of their lives. Standard music formats that we encounter every day will often miss out subtle parts of the musical arrangement. Likewise, most hardware units, such as car stereos, do not come equipped for handling FLAC audio files. So between the audio format and the available hardware, you could be missing out on a huge chunk of the music. Luckily, many stereos come with this feature as standard, including some in our review. So if music is your thing; keep an eye out for FLAC. This isn’t a standard feature among car stereos by any means, but many can play DVD’s without much issue, and some facilitate the streaming of those DVD’s to a nearby connected BlueTooth device, such as an iPad or iPhone. Ah, the old reliable. Well, unless you still consider cassette tapes the old reliable. 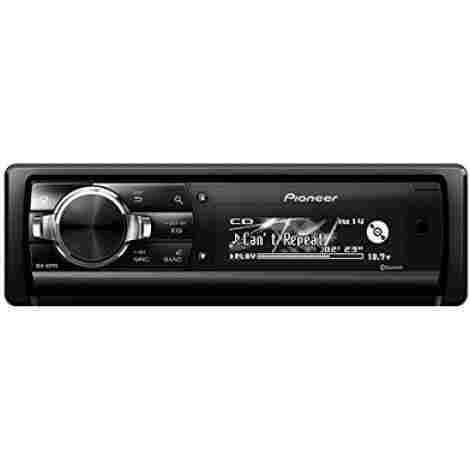 While CD’s are most definitely on the way out, the car remains one of the few places where CD’s actually make sense, and the stereos on this list all come with CD compatibility. Some stereos can pick up multiple audio formats from a CD, while others are restricted to the more commonly known formats. If you burn your own CD’s and use a relatively uncommon audio file format, you’ll want to check the manufacturer’s specifications before you make a purchase. 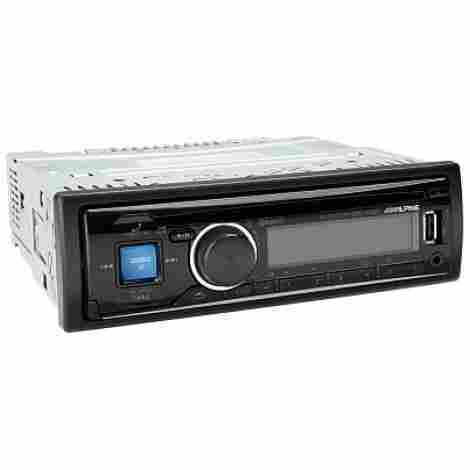 For regular CD buyers in the standard format, any car stereo will handle your disc efficiently. Most of these audio formats will go unnoticed, or be largely irrelevant to most drivers, but it’s handy to know they are there. As mentioned before, for people who burn their own music, a choice of audio formats could be the thing that finalises their purchase. Most stereos on this list have several audio formats, although some outperform others by several degrees. LED displays are the most common display format among car stereos, and convey all of the information required without much trouble. While LED technology has been around for a while, and may seem to belong to a different era, the fact is that it provides more than enough visual real-estate to succinctly display all of the appropriate data. LED displays are often customizable, and come with a color tuner that can cycle the display through a wide range of colors. Some stereos come with huge color palettes, while others come with just a few basic tones. Regardless, LED displays are not out of the game yet, and will probably be around for a while longer. 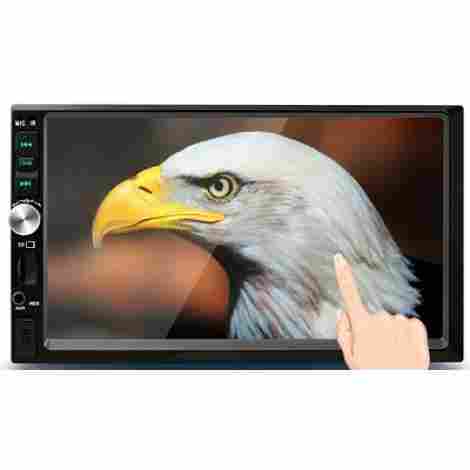 Certain double DIN stereos come with a full 7 x 4 inch high resolution display which can easily play YouTube videos in 1080p – all while being streamed from your nearby smartphone. It’s true that having a mini-television screen in your car won’t be a priority for everyone. But for those with large families who get a bit restless on a long trip, having a large, crystal clear, high resolution display might just keep things under control. Auxiliary inputs refer to the sockets for connecting devices to the stereo device, and are usually installed either on the front or at the rear of the unit. Front auxiliary ports make it easier to connect, disconnect and reconnect devices on the fly, and are probably suitable for most casual buyers. Rear auxiliary units have the benefit of hiding your wires from view, where they can be re-routed into a compartment where you store your devices, like the glove box. While most stereo units choose either front or rear aux ports, some actually cater for both preferences and come fitted with aux ports at the front and back. Any stereo worth its salt will ship with a built-in amplification device included. What you’ll usually see is something like: 4x Amp! Or 2x Amp! This refers to the degree of amplification that the stereo can provide. Not everyone likes to have their music heard from half way down the street, but for those that do, there are plenty of solid amplification options in the items reviewed here. USB is fast becoming the standard connector among the multitude of devices we interact with on a daily basis. This has extended to the car stereo world too, as most car stereos now come with USB compatibility as standard. The majority of stereos in our review have USB ports, although there are still more simple models to be found for those who just prefer the basics. If you only play CDs and have no use for hooking up your iPhone or similar device, then the choice of a USB port may be largely irrelevant to you. However, there is such a thing as future proofing, and it may be wise to get on board with USB devices right now, even if you don’t transition to using it until years to come. If you want to turn your car into a low-frequency bass-box, then you’ll want to keep an eye out for a stereo with a dedicated subwoofer output. Sub-out ports are not essential for most drivers, but if you do plan on installing a subwoofer, you may also need to attach an amplifier, depending on the native amplification power of your stereo. Most stereos in this review do come with subwoofer outputs included, but always check the manufacturer specifications to make sure. Q: Is it possible to remove the faceplate? Most faceplates can be popped off at the click of a button and kept in the glove compartment, or anywhere else that’s hidden from thieves. Some stereos don’t include this feature, such as the large-screen double DIN options. Q: Does it come with a wiring harness? Wiring harnesses are often needed for cars without splicing wires, and will need to be bought separately in that case. Most stereo kits come with standard wire clips and harnesses, but these are for basic fittings and won’t be enough for every car. 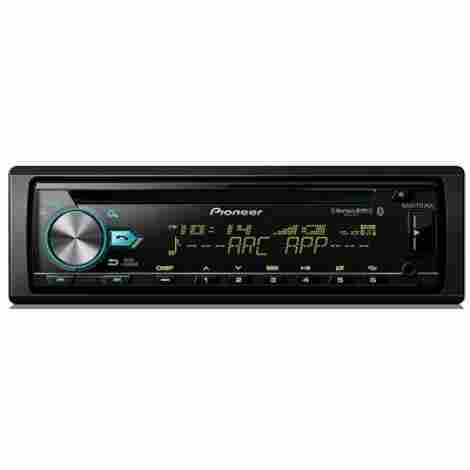 Very few stereos come with the full range of adjustability and customization attachments that you may end up needing. Clips and harnesses for wiring are easily found online – often even on the stereo product page. Many users require such additional items, and they are advertised loudly online. Q: My car supports a single DIN stereo… Can I install a double DIN anyway? Answer is no, unfortunately. Brackets can be found to convert a double to a single, but not a single to a double. Q: Can I fit a single DIN stereo on my double DIN dash? Yes, you can. But first you’ll have to purchase a bracket to fit it securely. Brackets for converting DIN sizes are relatively inexpensive and are easy enough to attach. A nice benefit of doing it this way is that you can connect two single DIN devices onto your dashboard at the same time, if you so choose. Everyone asks this but the fact is that no manufacturer could possibly list all of the various makes and models of cars that their radio is compatible with. If you have a rare car make, or are just particularly worried that your chosen radio won’t fit, just make sure to check the manufacturer page for comments from other motorists, or use the ‘part-checker’ function that often accompanies car accessory parts on Amazon. If all else fails, a quick Google search should answer your question. But ultimately, with the wide range of brackets, fixtures and fittings that can be used these days, just about any stereo should be able to be fitted to just about any car. Life Wire – What Is a Single DIN Car Stereo? Quora – What is the difference between single DIN and double DIN car audio?